Microsoft ended its mainstream support for Windows 8.1 at the beginning of this year. Its extended support is supposed come to an end in 2023 as well. Therefore it's obvious that Windows 8.1 users find themselves in a precarious situation. And this situation worsens if those Windows 8.1 users are not willing to upgrade to Windows 10 – the latest and therefore the most secure of all Windows versions. But there's no need to panic. 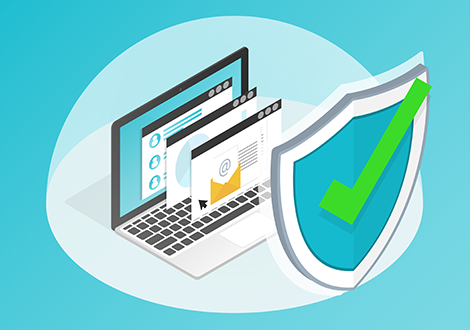 Comodo free antivirus which comes equipped with impressive security features that handle various security threats (including zero-day threats) has the ability to offer solid protection to Windows 8.1 users so that they can continue using their favorite OS to the fullest until 2023 without any security worries. Default Deny Approach – technology unique to and developed by Comodo which ensures all files (be it malicious, good or bad) are denied entry until they prove themselves harmless. This is extremely useful considering most of the attacks of today which are proving extremely successful are Zero Day Attacks. Auto-Sandboxing – technology which supports default deny approach, which makes use of virtual containers to run untrusted, unknown and malicious applications and release them into the working environment only after they prove themselves to be harmless. HIPS (Host Intrusion Prevention System) – technology which ensures all kinds of system intrusions are detected and prevented (be it malware, spyware or any other kind of infection) at the earliest so that they can be mitigated before they snowball into a major crisis. Cloud-Based Updates and Behavioral Analysis – the cloud-based (and therefore always updated) malware signature updates ensure the Antivirus is ready to resist the latest security threats surfacing from the cybersecurity threat landscape. Personalized Protection Alerts – alerts which help PC users like you behave proactively against security threats. Easy customization and scheduling of these alerts is another added bonus.